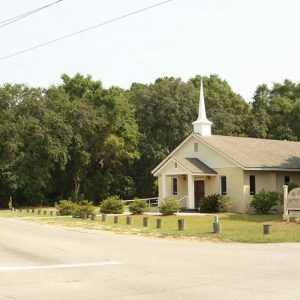 This church, founded in 1886 by former members of First African Baptist Church, is one of the oldest surviving institutions remaining from the town of Mitchelville, a Freedmen’s village established here by the United States Army in 1862. The present brick sanctuary, covered in stucco, is the third to serve this congregation. It was built in 1972 and renovated in 2005.